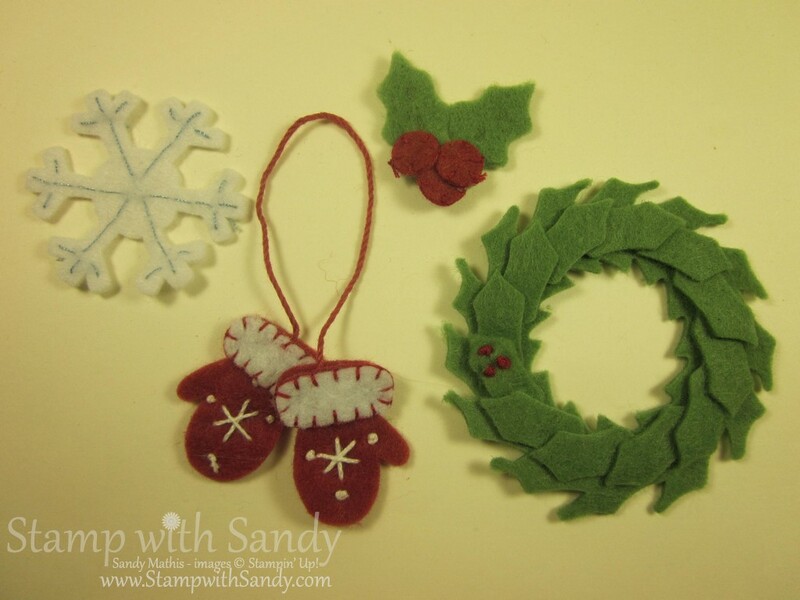 Stamp with Sandy: Blog Candy Time! It's blog candy time! I recently arrived at visitor number 100,000 on my blog site, and I thought I would celebrate by sharing some candy with my faithful followers! I think you are going to love this candy, too. Since the holidays are just around the corner, I thought I would offer some perfectly coordinated holiday goodies. Included are: 16 6"x6" sheets of Frostwood Lodge Designer Series Paper, a full roll (15 yards) of Early Espresso Grosgrain Ribbon, and a brand new package of Winter Wishes Stitched Felt adornments. 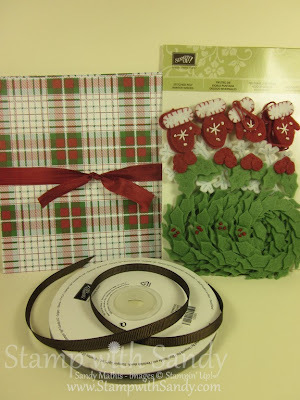 You'll be all ready to make some holiday projects! How to play: Simply leave a comment at the end of this blog post (make sure it is this post only). Everyone is welcome to play! Any comment will do, but how about telling me what kind of crafting you like to do best? Do you like to make cards, are you a scrapbooker, or are you a multi-crafter? The deadline for entries is 6:00 pm ET, Saturday, August 25th. Winner will be randomly selected using Random.org and announced on Sunday, August 26th. Winner must provide their mailing address (US only, please) within 48 hours, so be sure to check my post on the 26th to see if it is you! Good Luck and Happy Stamping! Sandy, I check your blog daily and you never disappoint me with your creative inspiration. I love your color combos, your simple elegance of style. Thanks so much. Sandy, love your blog. Each day I cannot wait to see your beautiful cards. Thanks for your inspirations. Love your blog...I am a try it once to see if it works out...then fall back to making cards. Hi Sandy! I check out your blog daily while drinking my lattes - love your ideas! I'm an avid cardmaker plus I enjoy making other "stuff" out of paper and cardstock. Thanks for sharing with us! Hey Sandy!! As you know I check out your blog everyday and really enjoy your techniques class and scrapbook class every month. I am definitely a cardmaker but making the occasional scrapbook layout is fun too. Thanks for the chance at winning some blog candy!! See you at the next class. Ohhh, love blog candy! I pretty much stick to card making in the Papercrafts area and really enjoy getting ideas from you! Thanks, Sandy. I am a multi-crafter. I love to make cards, scrapbook with friends, knit scarves and bake! Thank you for the chance to win blog candy...very sweet of you. Congrats on reaching 100,000 blog hits! Great blog candy! I'm a card and mixed media crafter. Thanks for the chance win. I read your blog daily. Thank you. Enjoy your blog. I like to make stampin up cards for family and friends. Thanks for the opportunity to win the blog candy. YUM! 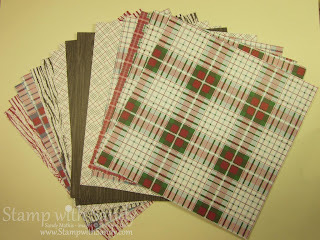 I will do scrapbooking sometime, I'm inspired to do other crafts with stamping supplies, and I like card-making the most. I love your blog Sandy! Thank you for the chance to win some block candy! I am primarily a card maker, but I love scrapbooking too. Congrats on the 100,000. I enjoy reading your blog for inspiration. I mainly am a card marker. Congrats on your blogging success! Love getting your blog posts right in my inbox for some beautiful inspiration!! I started out as a scrapbooker, but love making cards now also!! I really love the ideas you give on your blog! I am really a card maker. I keep saying I am going to try my hand at scrapbooking, it just hasn't happened yet. I love different styles of cards! Congratulations on your milestone!! I started out scrap booking and still do, but I'd much rather be making cards!! I love to make cards and send them out of family and friends. Thanks for the daily creative inspiration. Your beautiful creations always make me smile. Sandy, I follow you daily. I am a multi-crafter. I especially love favors and gifts. Also, I have not purchased a storee card in years!!! Congrats! I really enjoy seeing your posts daily. Gotten alot of inspiration. I'm really passionate about stamping and have been basically doing cards. I also dabble with scrapping and my other passion is cross stitching. I love making cards. I have five grandchildren and they love cards from Nana. Love your blog. I am a card maker. I started making cards for operation write home and I am hooked! My spare time is often spent making cards - my favorite way to relax. This year will be the 26th year my sister-in-law and I have been making all our Christmas cards. LOVE,LOVE making cards,AND gift boxes, those are my favorite things to make! I'm also a card maker :) I love the instant gratification of card making and especially with cute embellishments! I check your blog every day. Love your work. I am also a card maker. Every day I get a lot of inspiration from your blog to make new cards. I would consider myself a multi-crafter. I am always trying to master something. However, my first love is paper crafting. I have been scrap booking for about 10 years but stamping not as long. I've recently cleaned out my stash and I'm going mostly SU. I'm trying to simplify my process. I follow your post everyday and I'm always inspired by you!! Thanks for the opportunity of the blog candy!! Hi Sandy, I love your blog and projects. I consider myself mostly a cardmaker. You are a wonderful source of inspiration. Thanks for sharing. Wow, 100,000 visitors! That's a great accomplishment. I definitely consider myself a card maker. I do have a scrapbook & some paper I have bought with an idea for a page in mind, but as of now; no work is done yet. I look forward to getting to it one of these days though. Wow...100,000 visitors is amazing....but not surprising! Your cards and inspiration are fantastic every day I check your blog! Congrats!! I love your cards and blog! Thanks for all the inspiration!!! I *love* your sweet little 3 x 3 cards!! In answer to your question, I am a cardmaker!! Sandy, Congrats on your blogging success and your faithful followers. What wonderful blog candy!!!!! thanks for sharing your time and success with all of us. Sandy, I'm a cardmaker from SD & enjoy your cards & ideas. Keep up the good work. I am a card maker. Thanks for this fun blog candy. I stop by weekly. Thanks for your fun ideas. Sandy, you are a sweetie to offer such nice candy! Try as I may, I cannot get into scrapping too much...I am a card girl all the way! Congrats on your 100,000!!! I'm a subscriber so I don't miss a thing! Love your cards and inspiration you share with us, thank you SO much! And congrats on 100,000 visitors, that's exciting! Thank you for the chance to win the awesome blog candy! I just discovered your site and signed up for blog emails. Look forward to getting acquainted with your style. Thanks for the chance to win the blog candy! I check your blog daily and love your designs. The Christmas card you made with the little birdie and the trailing Merry Christmas is darling. Love your colors and designs. I am a cardmaker and several years ago was an avid scrapbooker, but that has taken a backseat to the cardmaking. Thanks for sharing all your fabulous ideas and congratulations on hitting 100,000 visitors to your blog. Hi Sandy!! What awesome blog candy! I LOVE those felt pieces. I obviously LOVE to make cards but lately I have been working on some banners/bunting for my classroom...this seems to be a new addiction! Ha! Thanks for the chance to win.